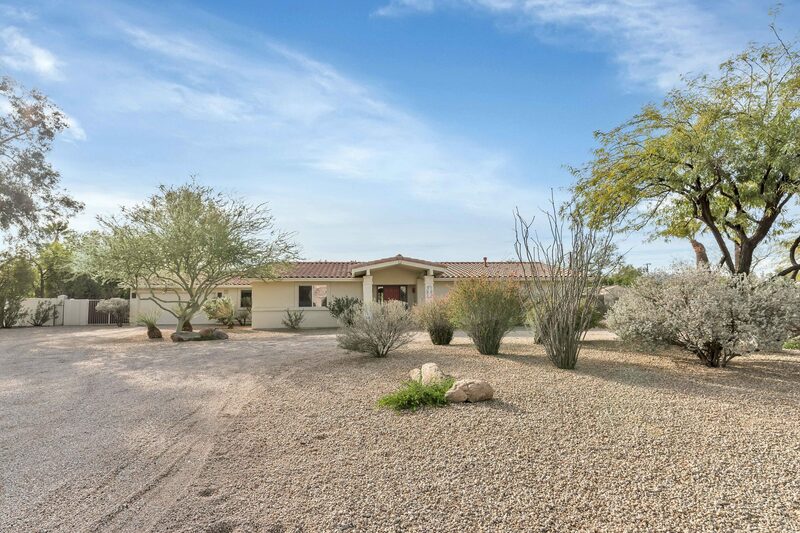 Awesome turn-key family home on very low maintenance 1 acre lot, with 5 bedrooms (1 built-out as office), flex room, 3 baths & 3,321 sf, featuring gorgeous Saltillo & Bamboo floors, huge family room, formal dining room with built-in bookshelves & fireplace, remodeled kitchen with stainless steel Bosch appliances, granite countertops, plenty of Alder cabinets & light filled breakfast room. 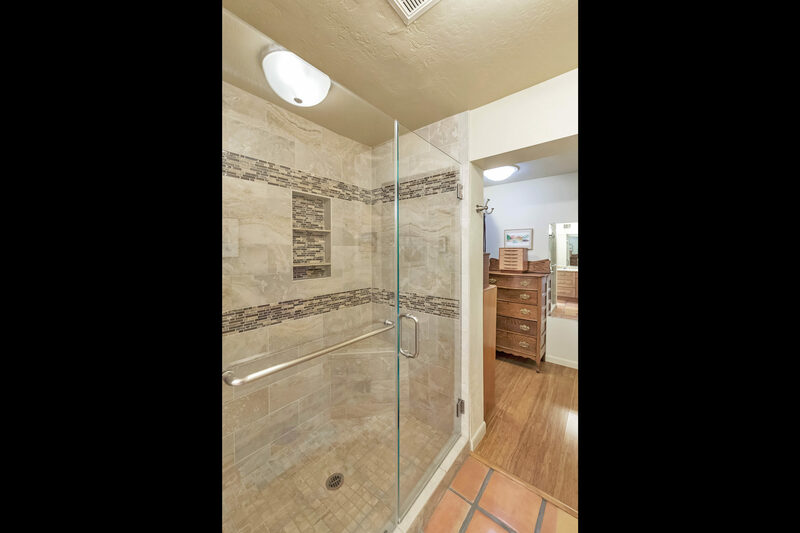 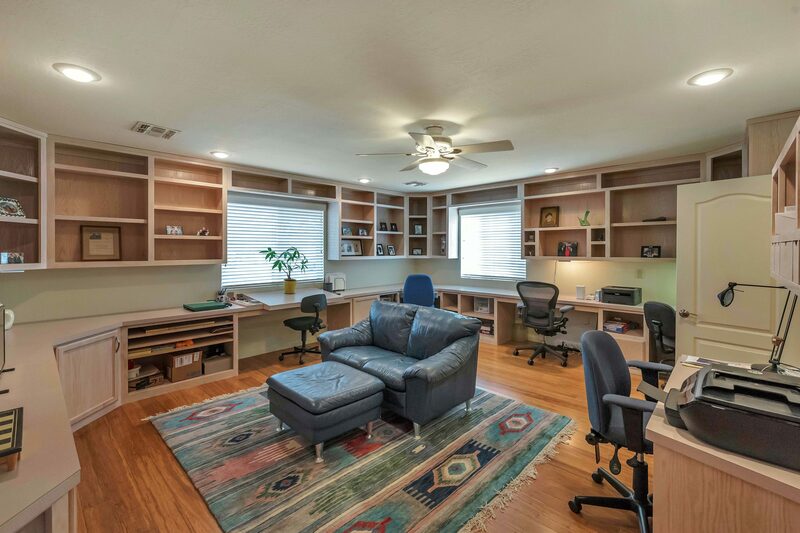 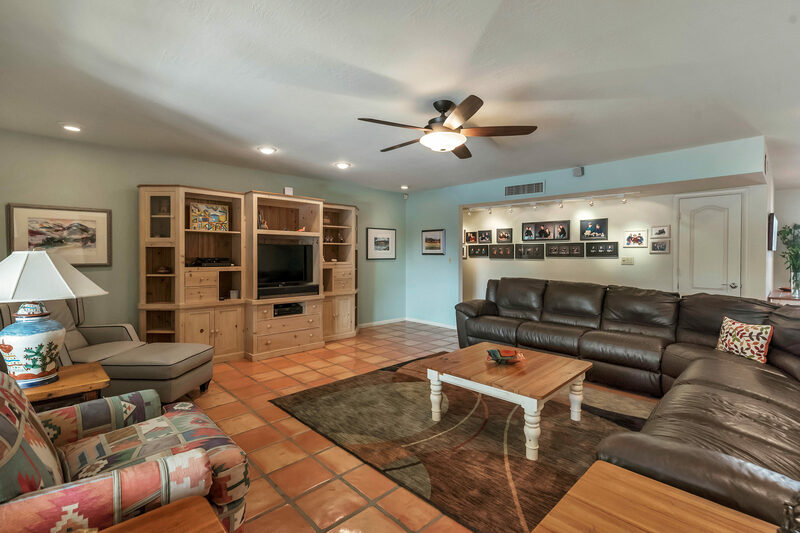 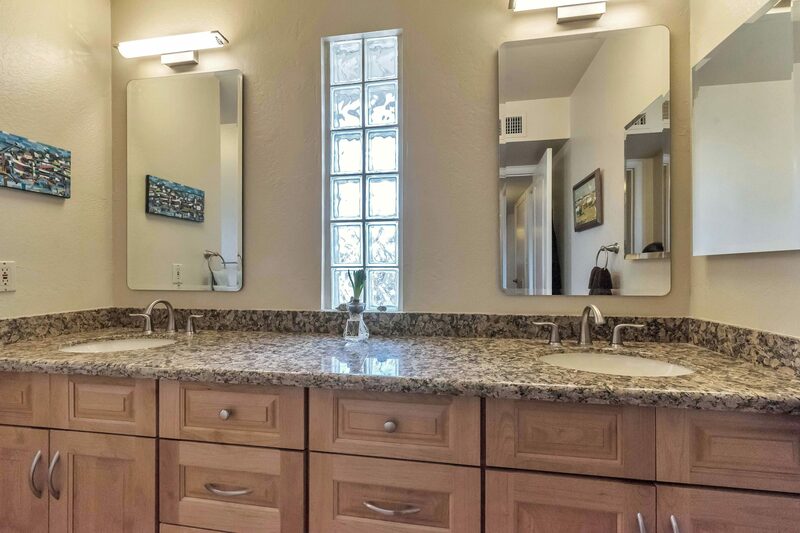 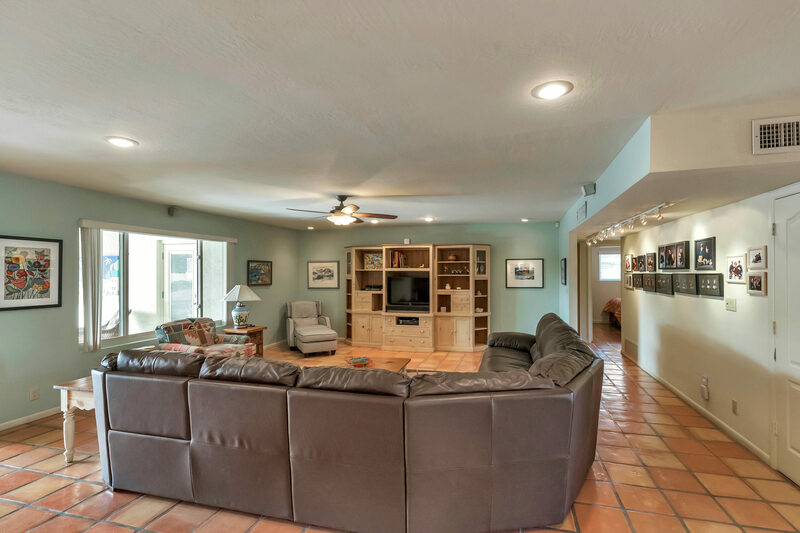 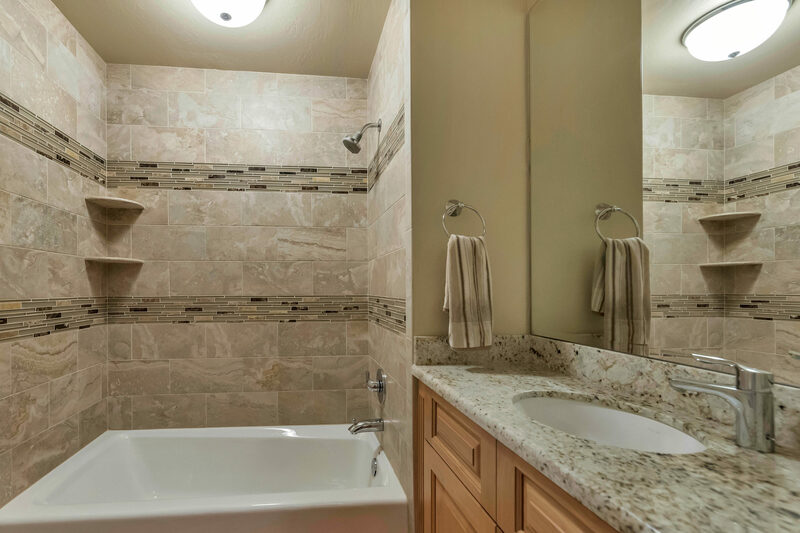 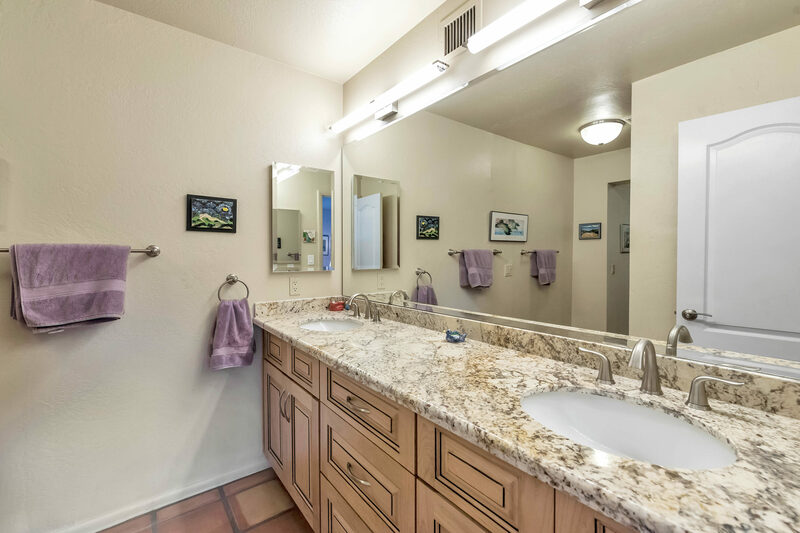 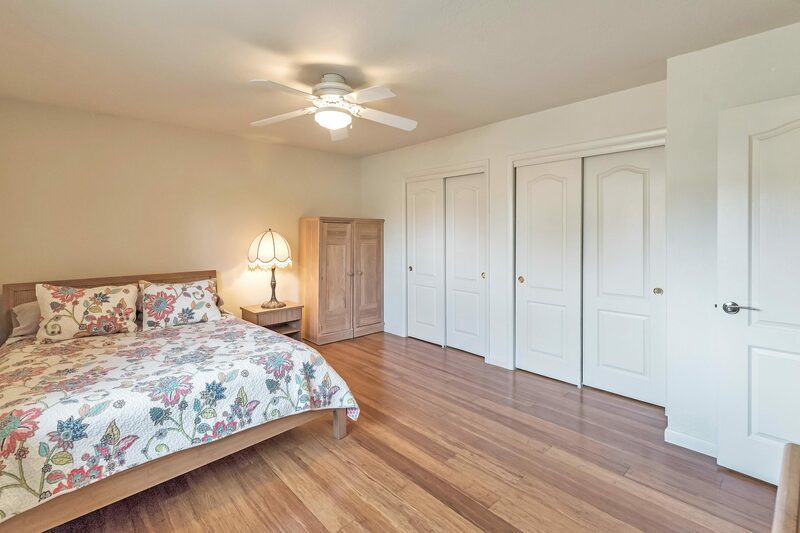 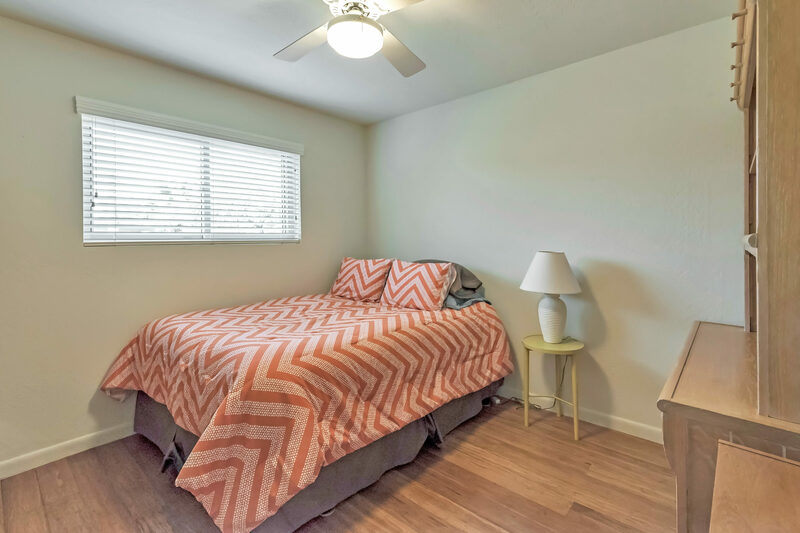 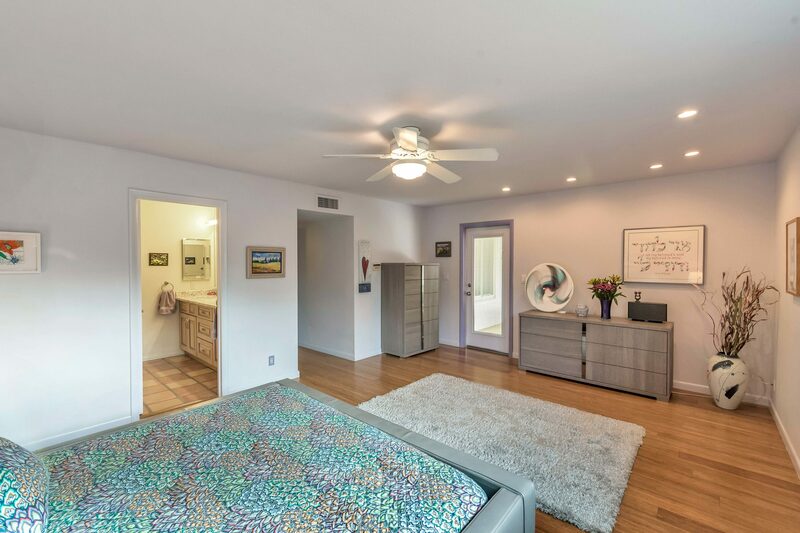 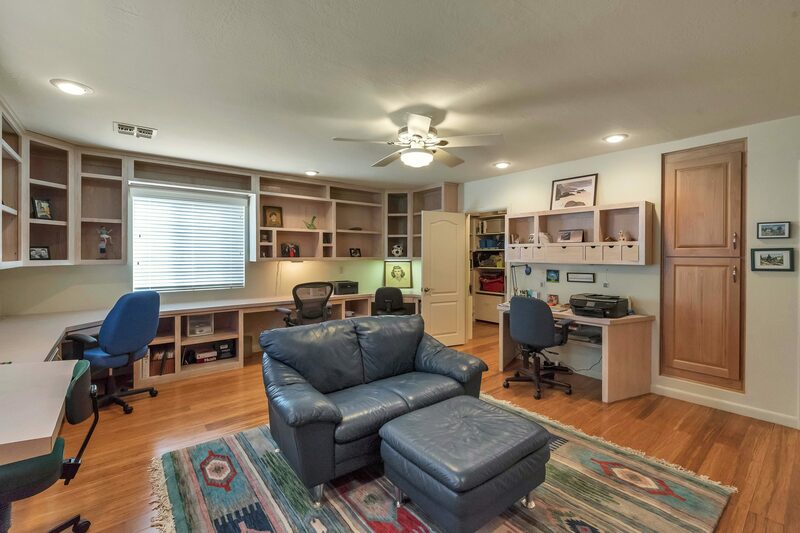 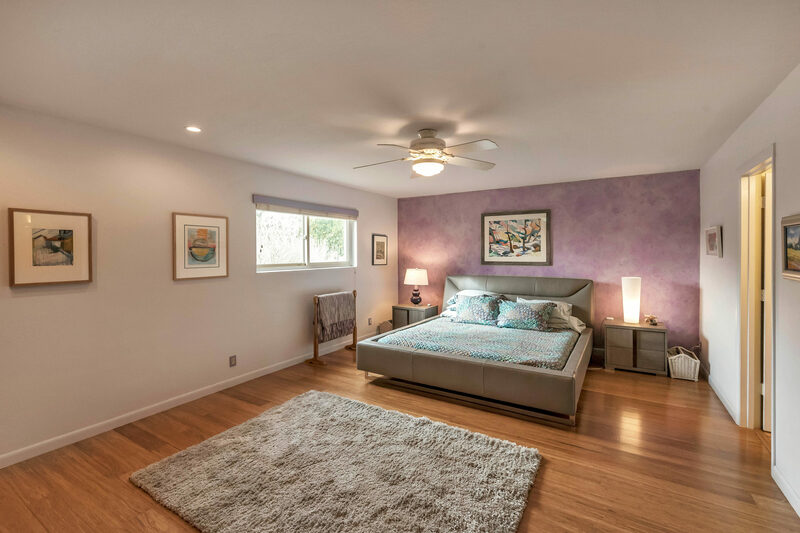 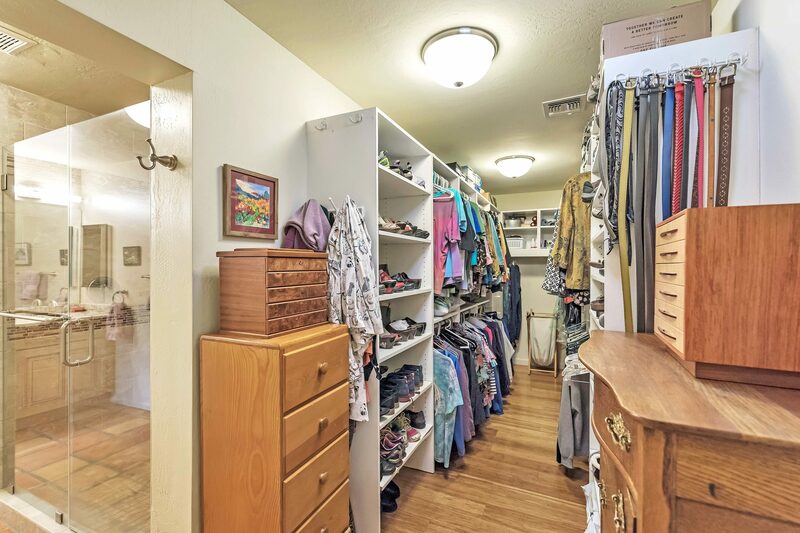 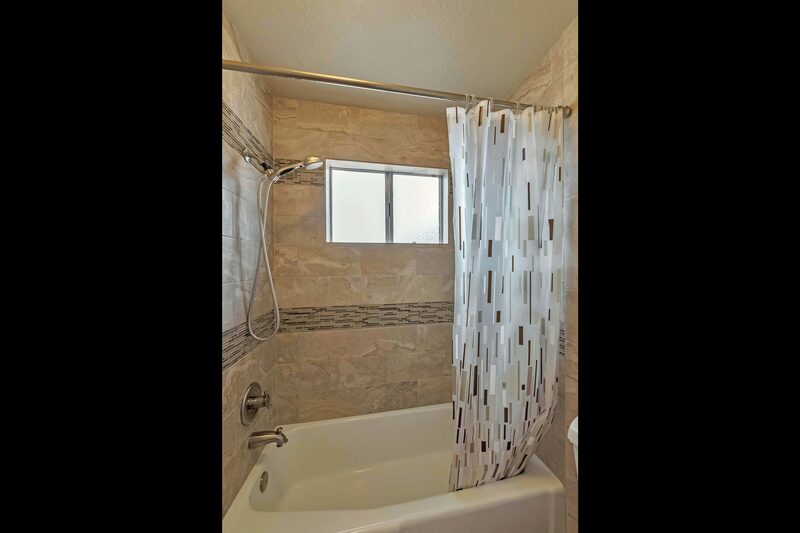 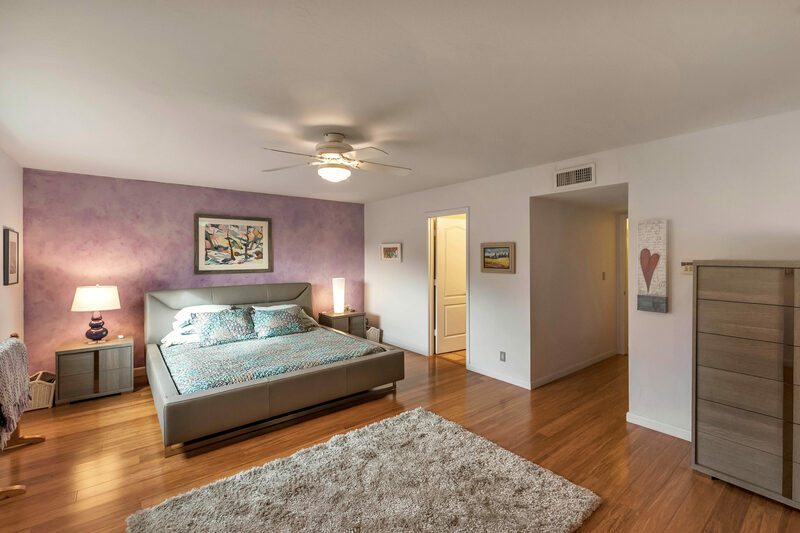 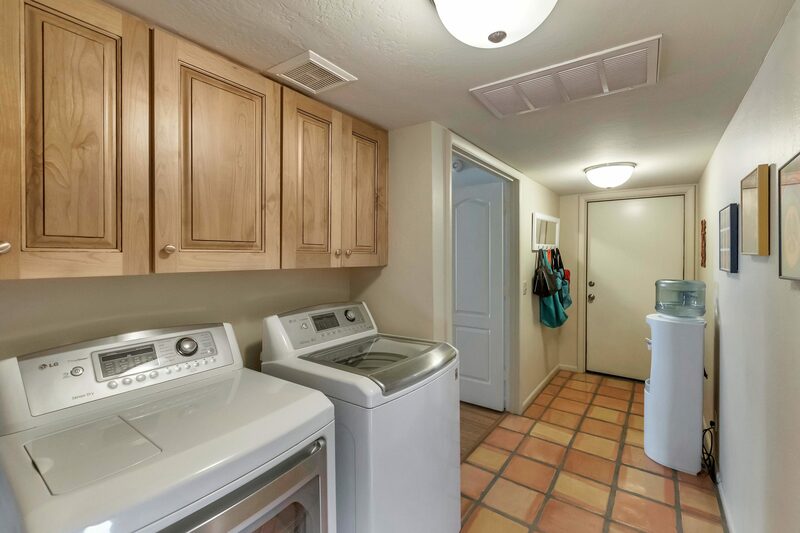 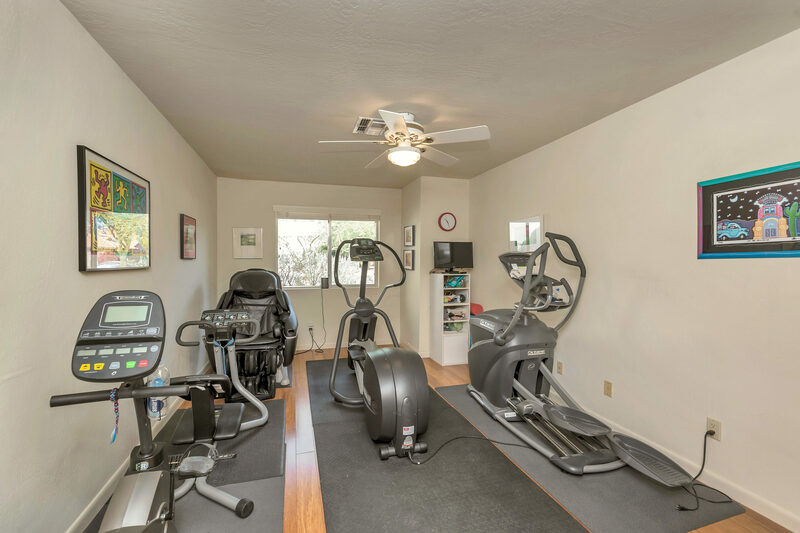 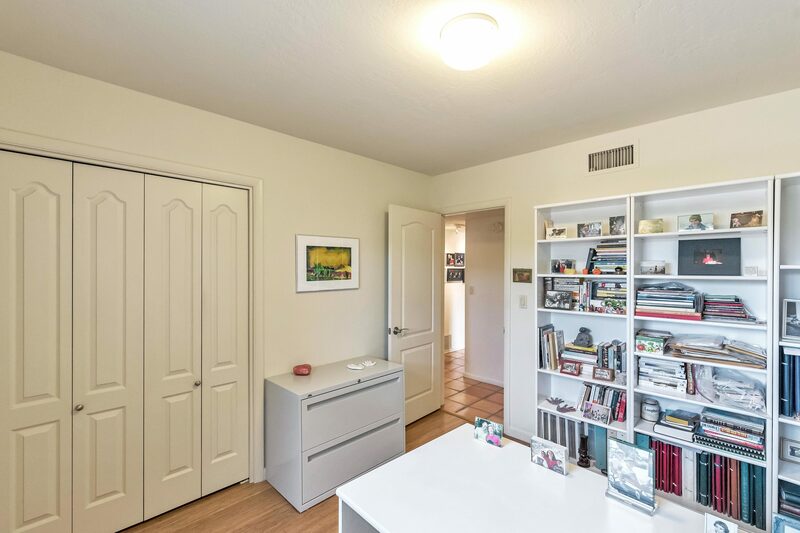 All baths have been remodeled with granite countertops & Alder cabinets, including master with double vanity, private toilet room, large walk-in closet & exit to covered patio with ceiling fans. 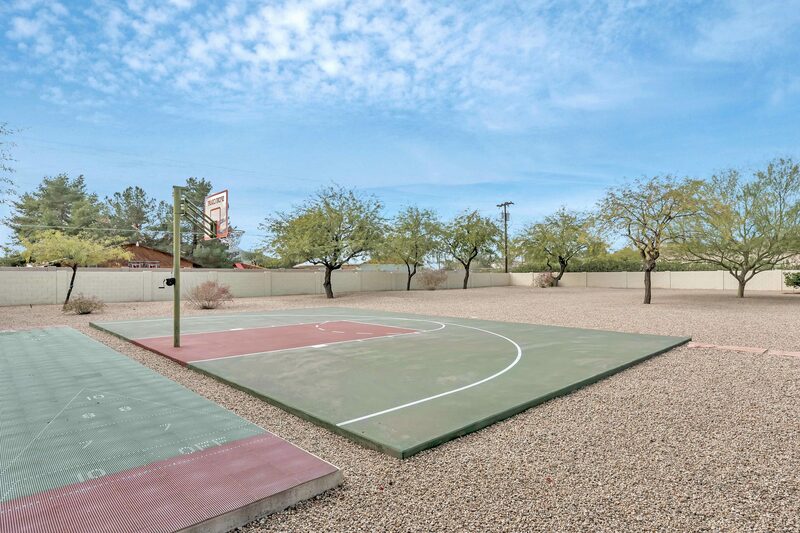 The backyard boasts a fenced heated pool & spa, fruit trees, ready to go vegetable garden & sport court. 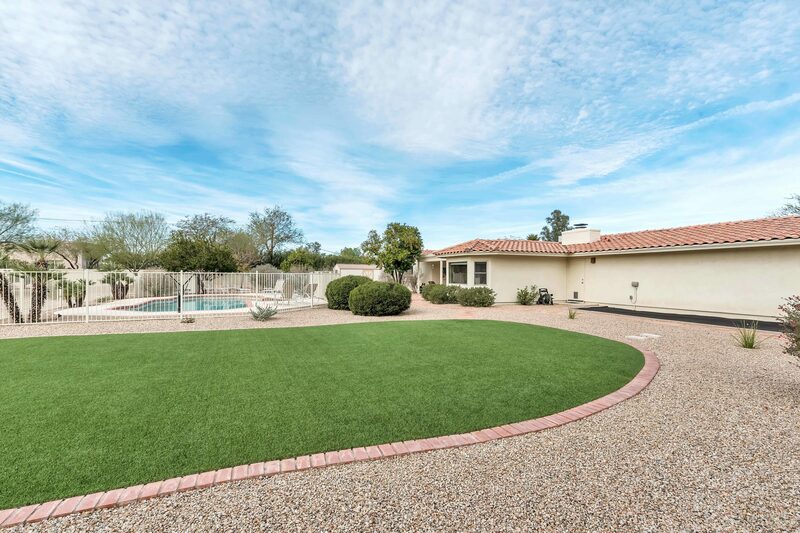 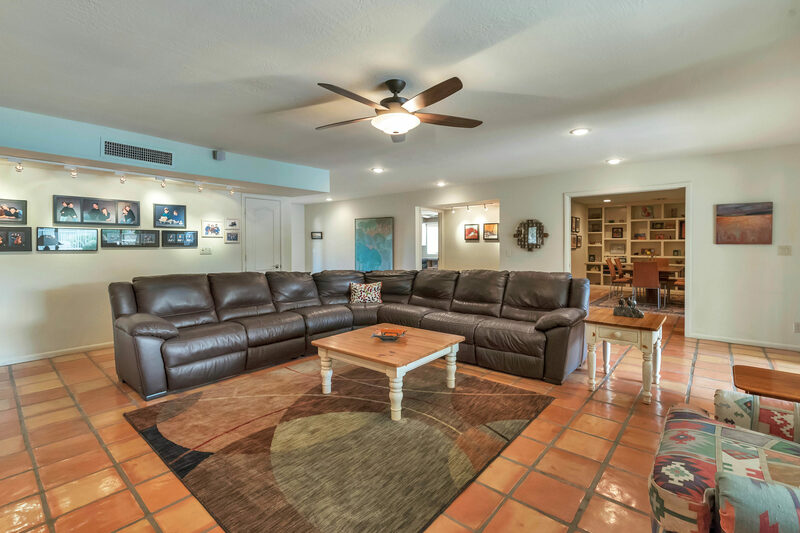 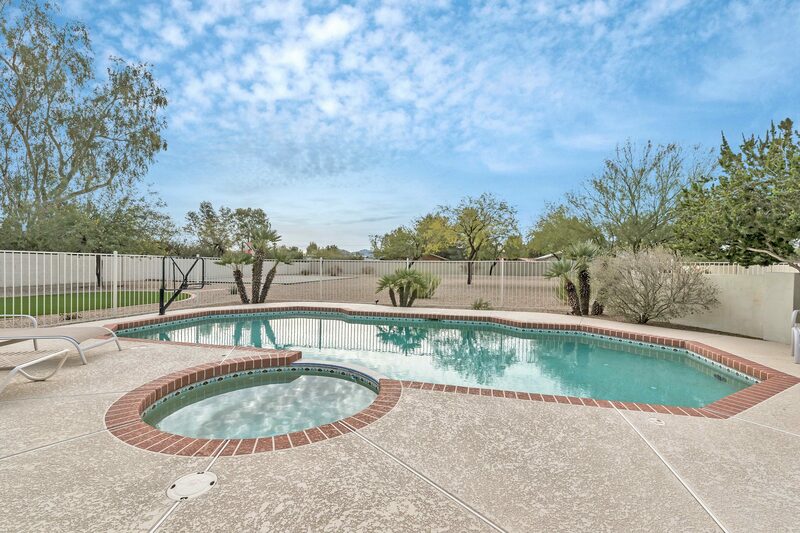 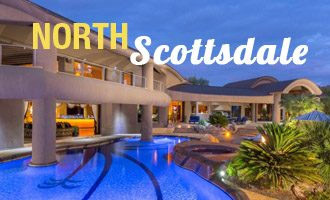 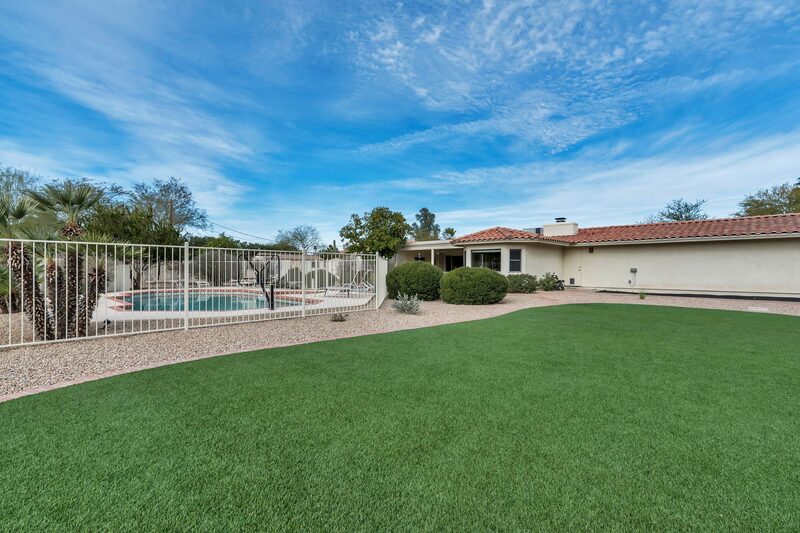 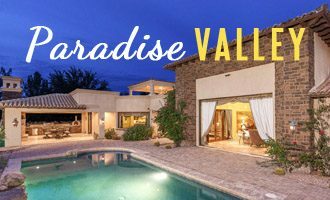 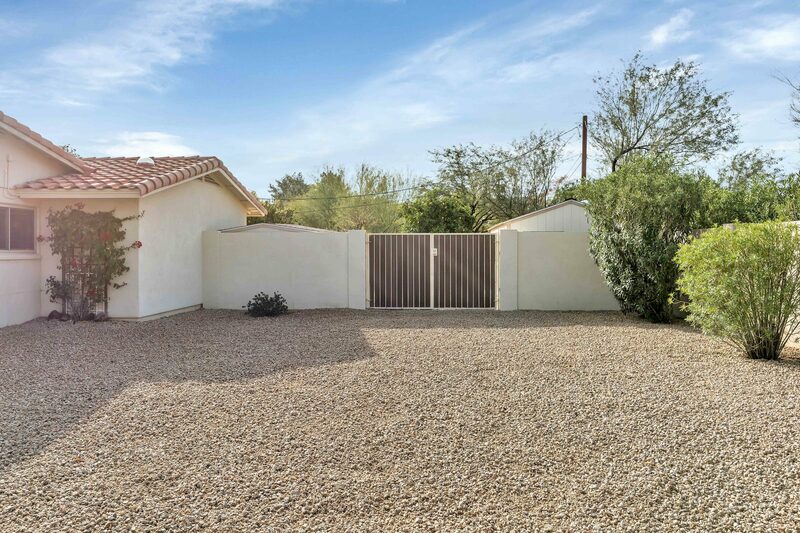 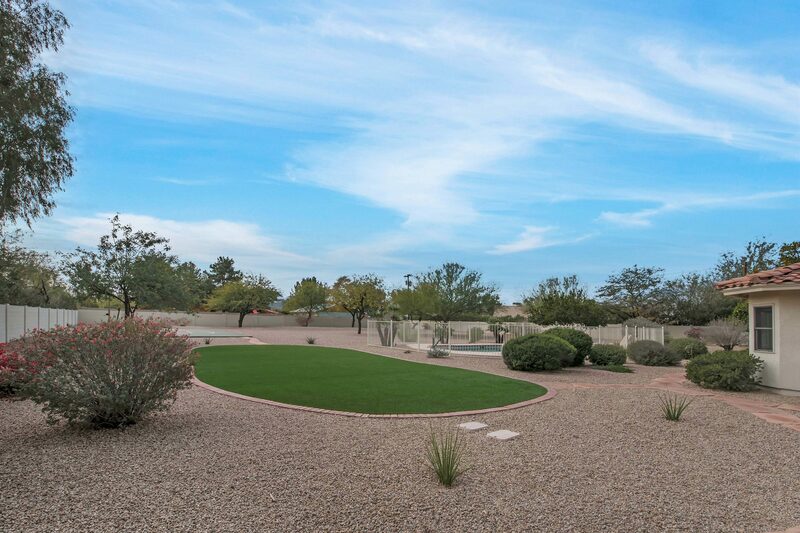 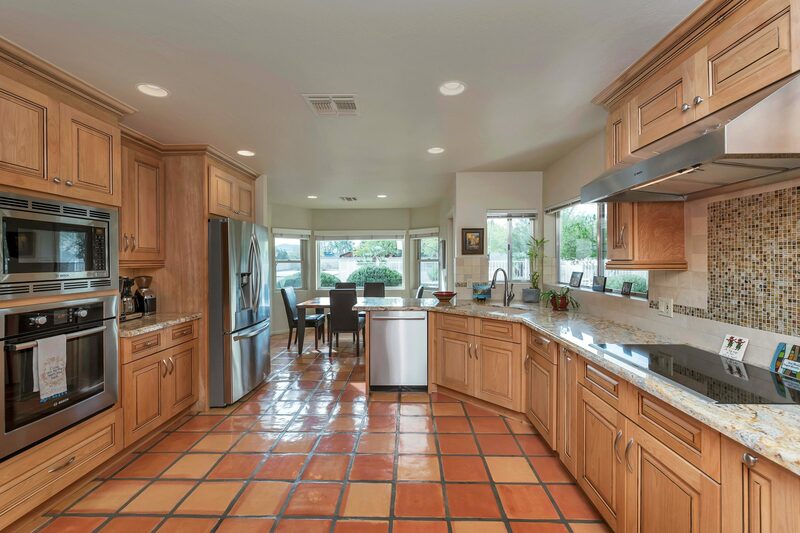 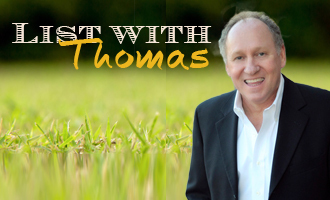 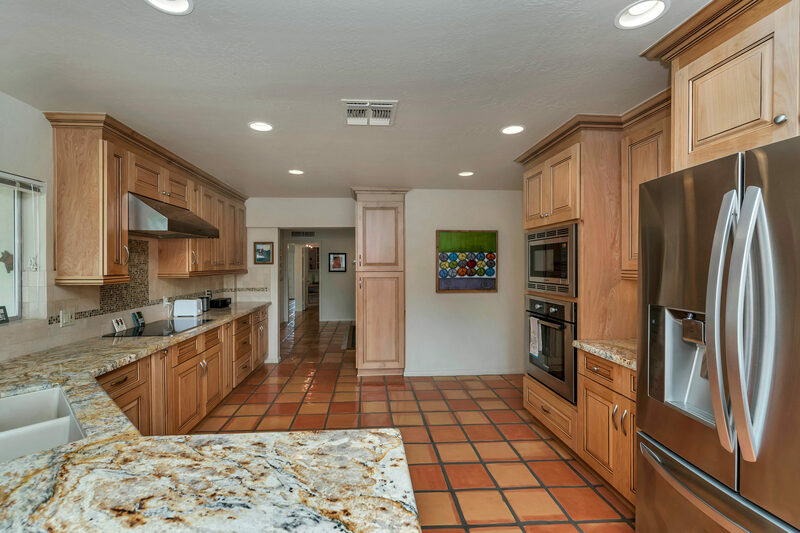 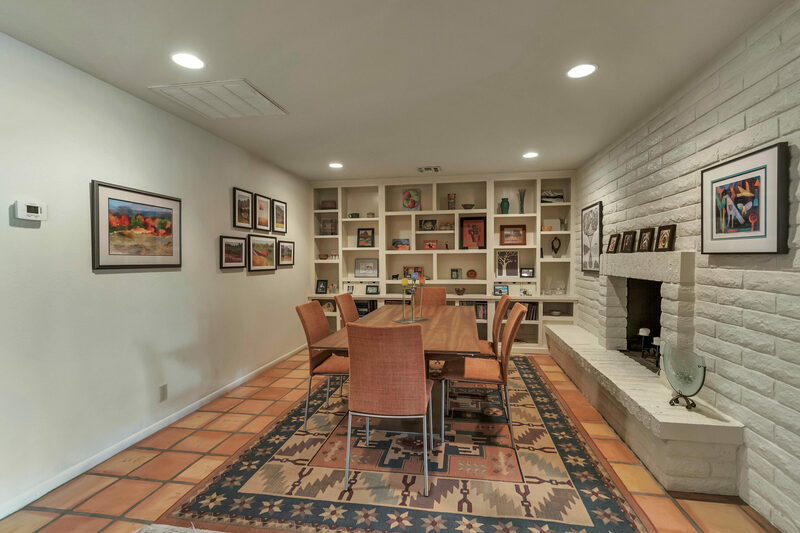 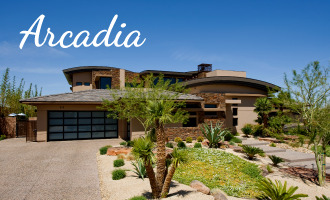 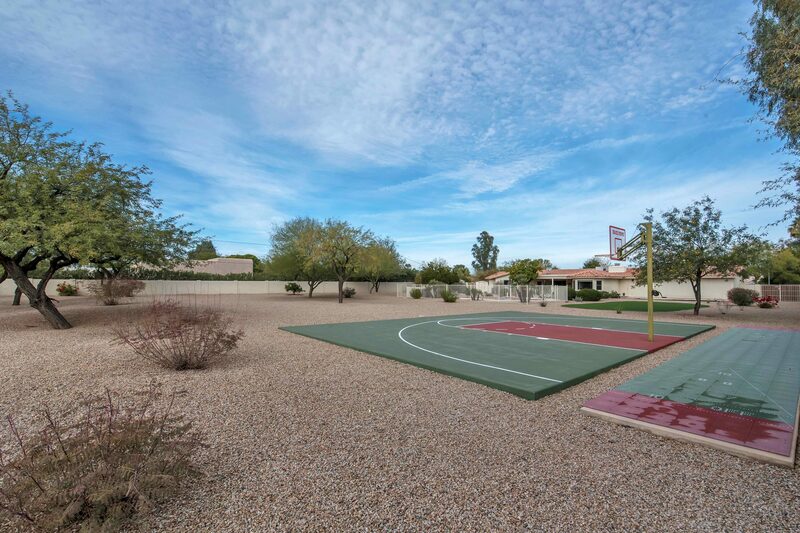 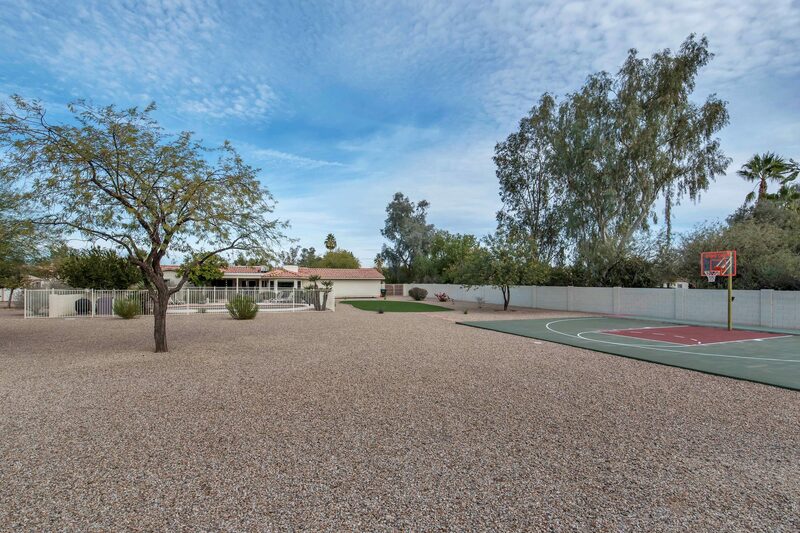 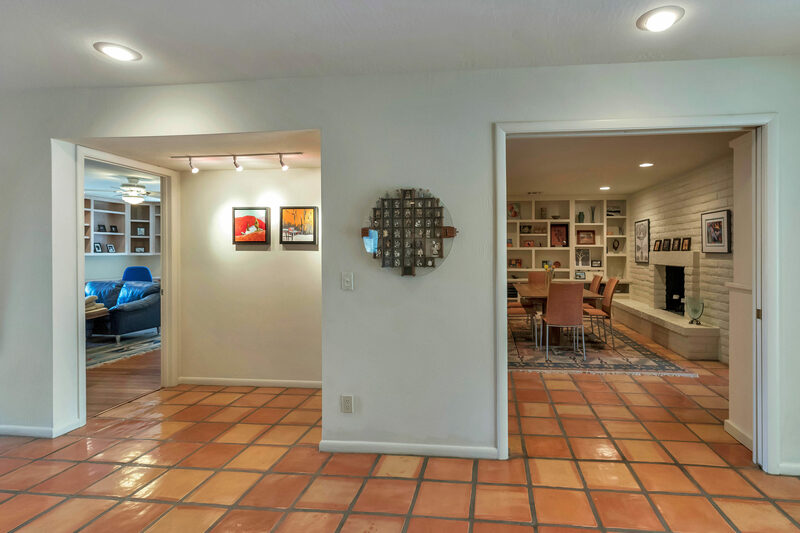 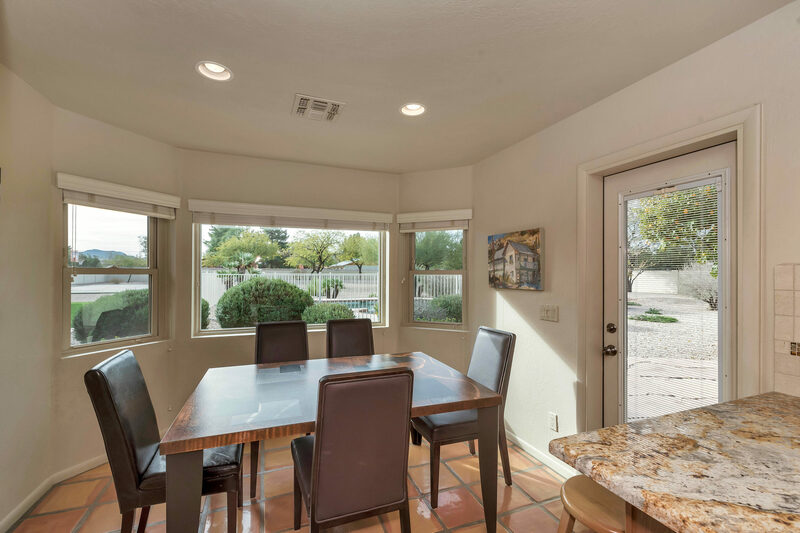 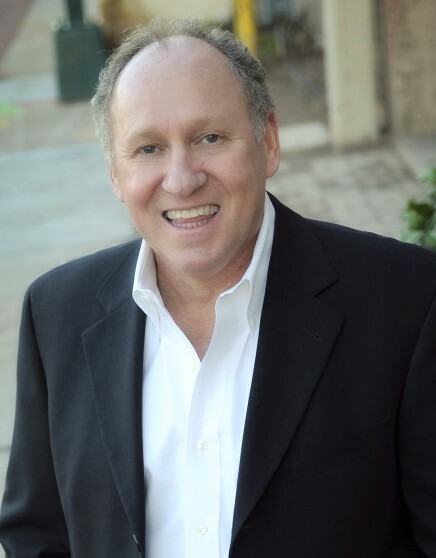 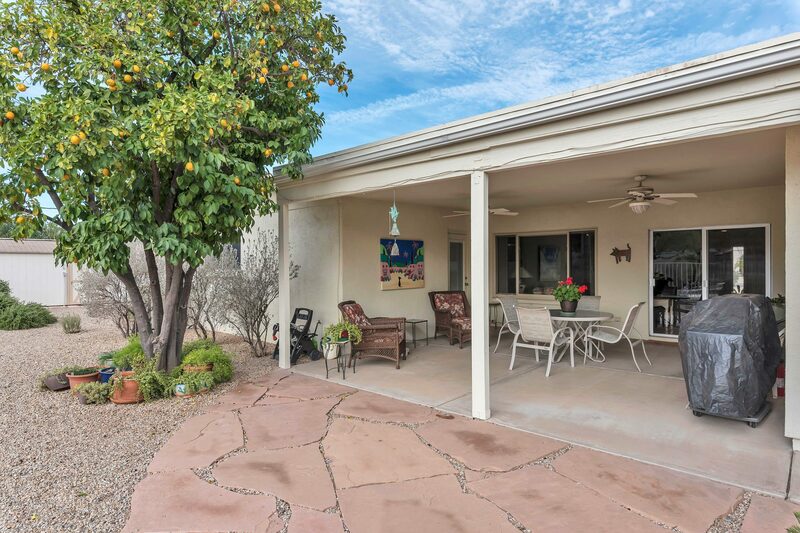 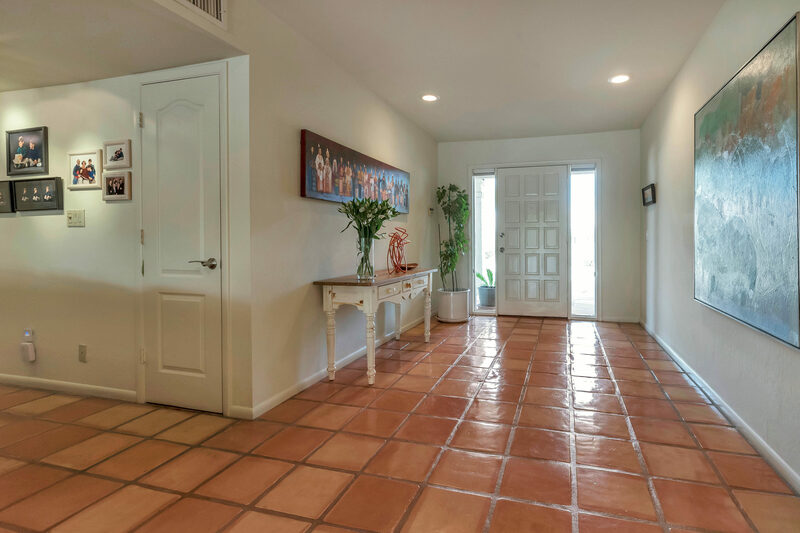 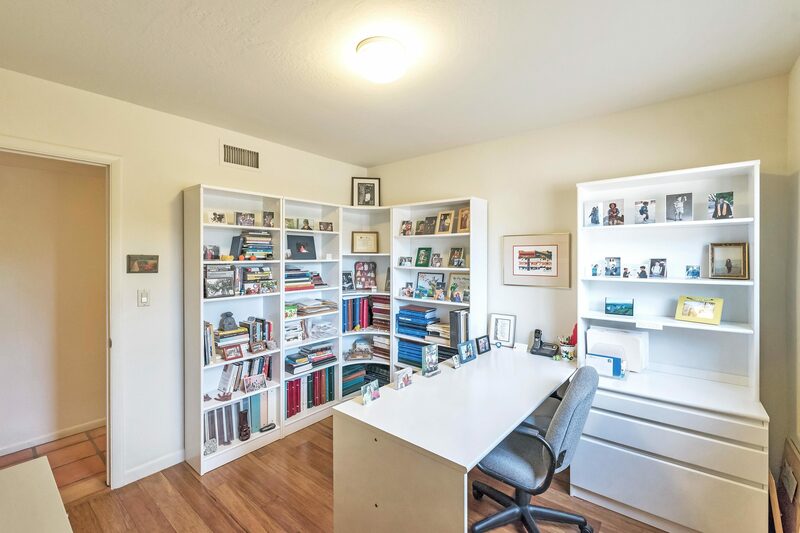 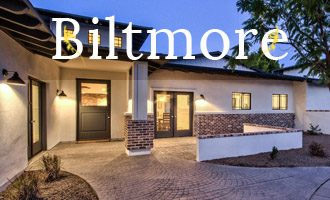 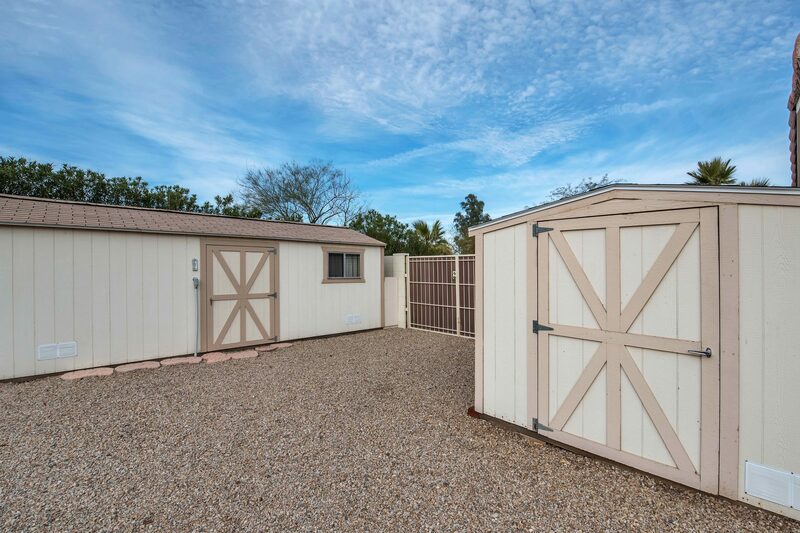 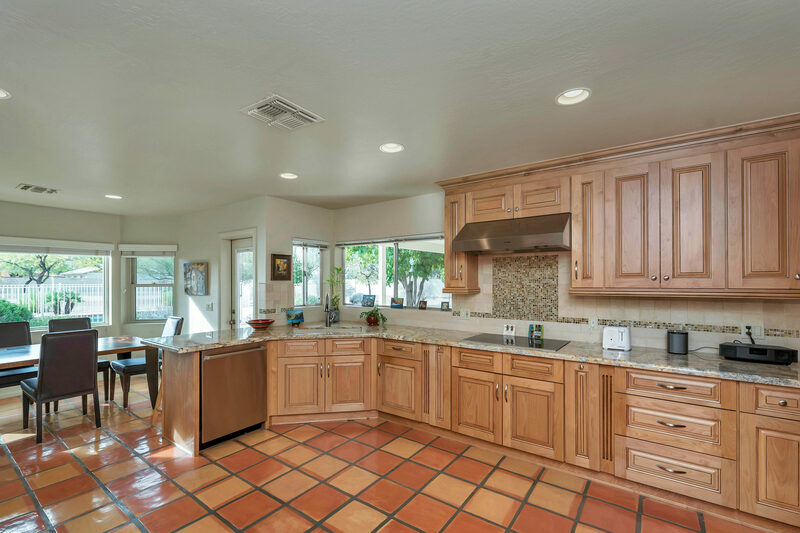 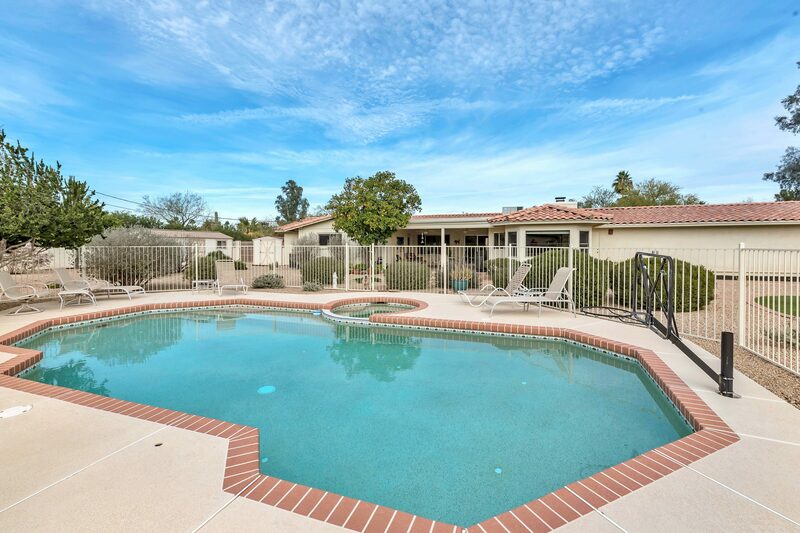 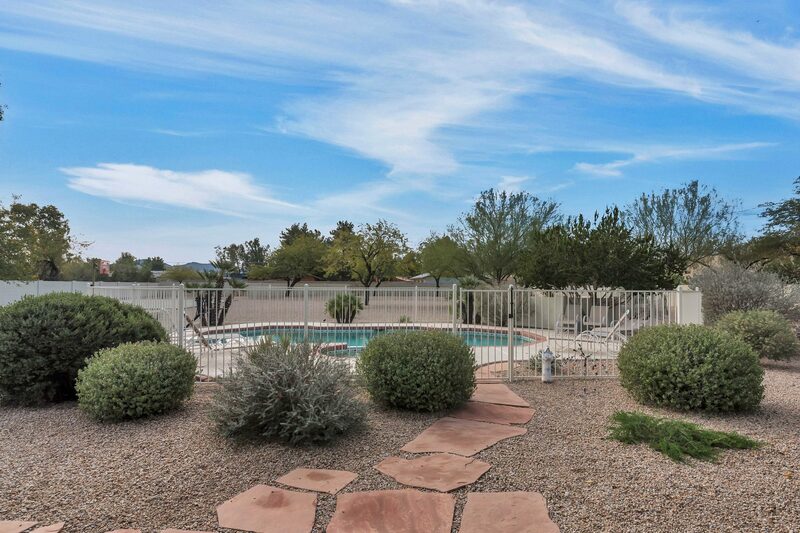 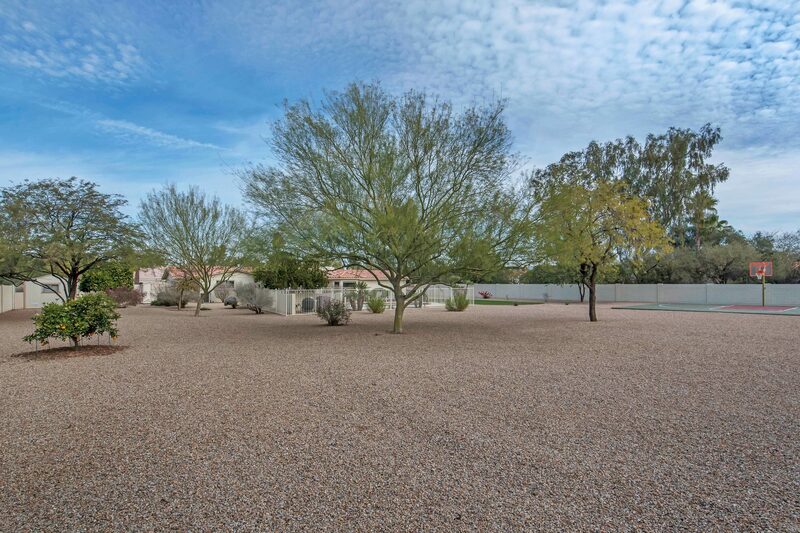 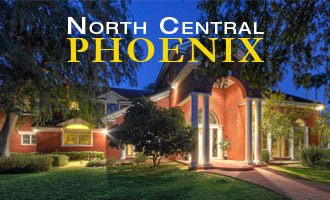 The property location is second to none; minutes to tons of shopping, restaurants, Scottsdale & highway 51.